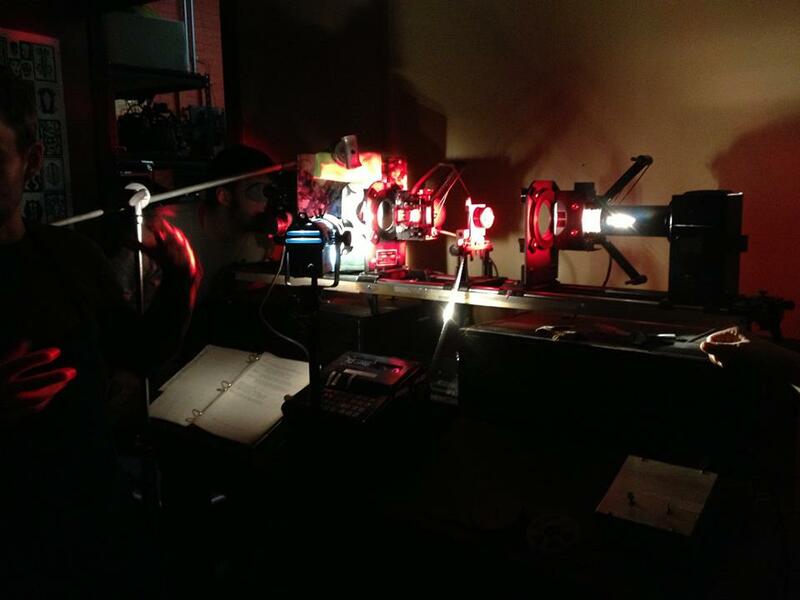 JK Optical Printers are used to do things to film. AgX has 3 JK Optical Printers available for member use. AgX has a wide variety of cameras, projectors and editing materials available for use. Our darkroom is outfitted with lots of chemistry. AgX screening space is a great way place to share your films and is used for Work-in-Progress screenings and curated programs. Several Steenbecks are available for use to members for 16mm editing as well as 16mm and Super 8 viewers. AgX has a functioning contact printer allowing members to make prints of their work. AgX has a wealth of resources to support members in their pursuit of the photochemical process including a Darkroom for processing, Steenbecks, Super 8 and 16mm cameras and projectors, JK Optical Printers, a screening space and a variety of other tools to support the creation of new work. AgX also has a collection of supporting guides, workflows, books and manuals kept on an internal Wiki shared with members.